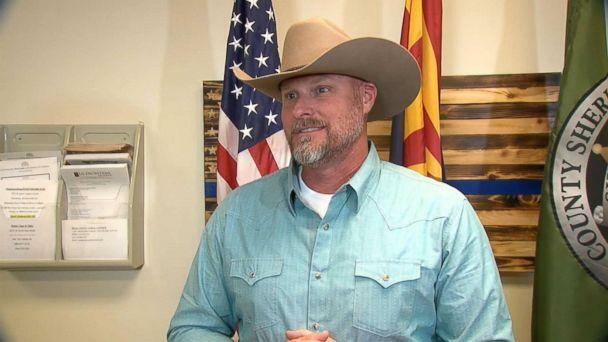 Police are hailing the parents of a young Arizona girl for teaching her how to handle "stranger danger" after she asked a man who approached her for a "code word" when he tried to lure her in his vehicle. The Pinal County Sheriff's Office released a warning after the 10-year-old girl apparently thwarted a possible kidnapping. A deputy responded to a home in the North Pecan Creek neighborhood last Wednesday for a report of an attempted luring, officials shared on Facebook. At 3:45 p.m. the girl "was walking with a friend near a park in the neighborhood when a man, driving a white SUV, pulled up next to them," according to the release. "The man told the girl that her [brother was] in a serious accident and she needed to go with him. The child asked the man what the 'code word' was, but he did not know it and drove off." The girl's mother, Brenda James, said she got a tearful call moments after the stranger "tried to take her." "My daughter called me crying upset and she told me that 'some guy tried to take her,'" James said at a press conference. "He told her his brother had been in a serious accident and she needed to come home with him. "So I just kind of calmed her down and she told me that some guy tried to take her and all my thoughts went out the window at that point and I got in my car and I drove home," she added. James' daughter opened up on "Good Morning America" about the incident. "I was terrified," the girl said. "I was terrified that my brother was in an actual accident, that he could be hurt." Or, she added, that the man had bad intentions. When she asked the suspect what the code word was, she said, "He just kind of froze, his face. And drove off." "I was scared," she added, "because if I had popped in, I don't know what he would have done to me." Thanks to using the code word, the 10-year-old knew better than to go with the suspect. "They know who can pick them up and who can't," James said of her children. "But there's always that special situation where there might be somebody they don't know or don't know well, so that's why we came up with a code word." Sheriff Mark Lamb hailed the tactic and said "kudos" to the parents for "having a code word and talking about to their children about 'stranger danger.'" "The mother of this child did an awesome job teaching a code word to her child, and that potentially saved that girl's life," Lamb told ABC News. "We hope by putting this out, it will encourage parents to have that conversation and create a plan with their children, so they know what to do if they are in that situation," officials said. According to authorities, other children said they have seen that vehicle in the neighborhood, "circling the park several times a day." "The man covered most of his face with his hand while talking to the girl to conceal any identifying features," Pinal County Sheriff's Office said, describing the man as being in his 40s with a short beard. "The SUV was described as possibly similar to a Ford Explorer. We are asking people to be on alert and call PCSO at 520-866-5111 with any information." Callahan Walsh, an expert with the National Center for Missing and Exploited Children, said children get away from potential threats due to "something they did on their own volition." "Eighty percent of the time children are able to get away from the would-be abductor is because of something they did on their own volition," Walsh said. "And that's kicking and screaming or using the code word."